A Million Things I Love . 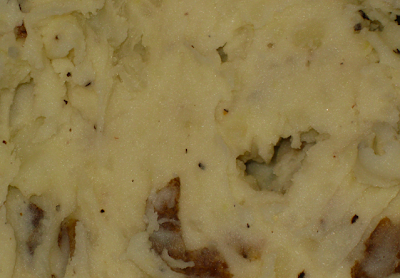 . .: #20 - I'll take mashed potatoes with a side of . .
#20 - I'll take mashed potatoes with a side of . . Being from Idaho, one of my favorite foods is potatoes. Especially mashed potatoes. Just made these 30 minutes ago . . . yum! Grind Salt and Pepper (I like lots of Pepper (thanks Dad)) into Potatoes. "I'll have mashed potatoes, with a side of french fries and a side of hashbrowns."